January 27th, 1859 was the day the future Kaiser Wilhelm II was born. 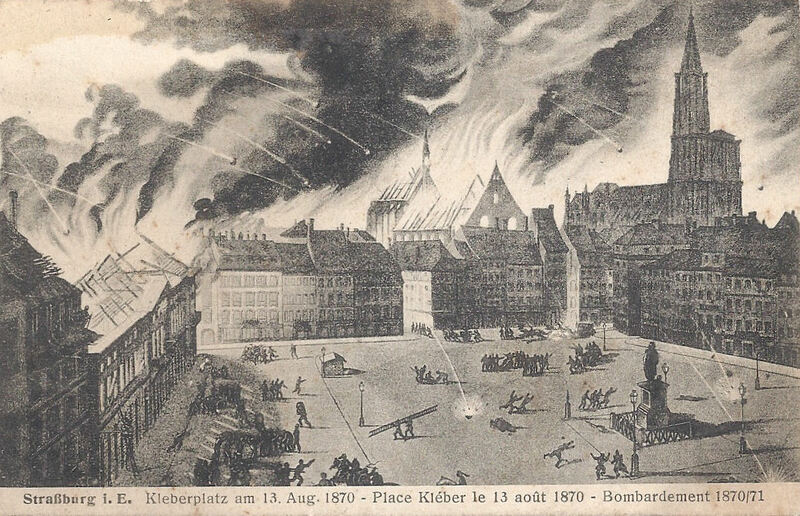 During the occupation of Alsace, it was evidently deemed fitting that parades were held in Strasbourg to mark great events and as the central of Strasbourg’s various squares and places, place Kléber would be an obvious choice for a birthday Mass. This postcard artistically depicts the terrible scene. General Kléber’s statue is clearly visible among the chaos. 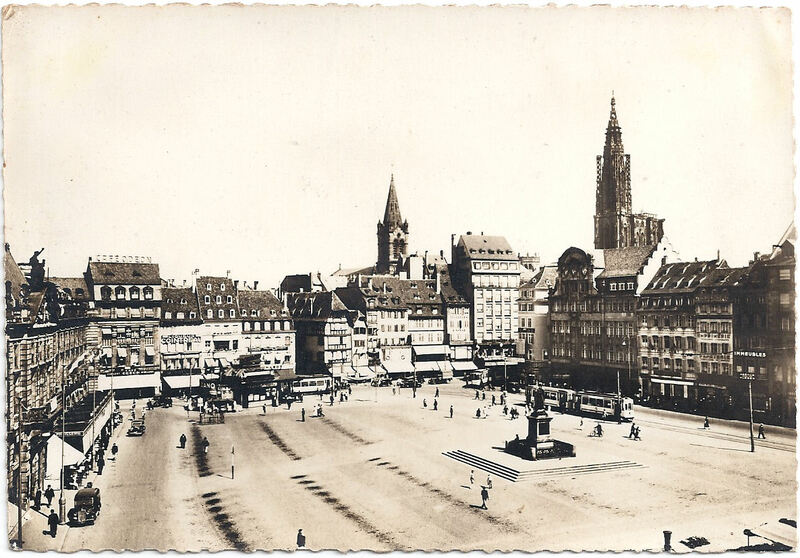 From then on, Strasbourg was German. 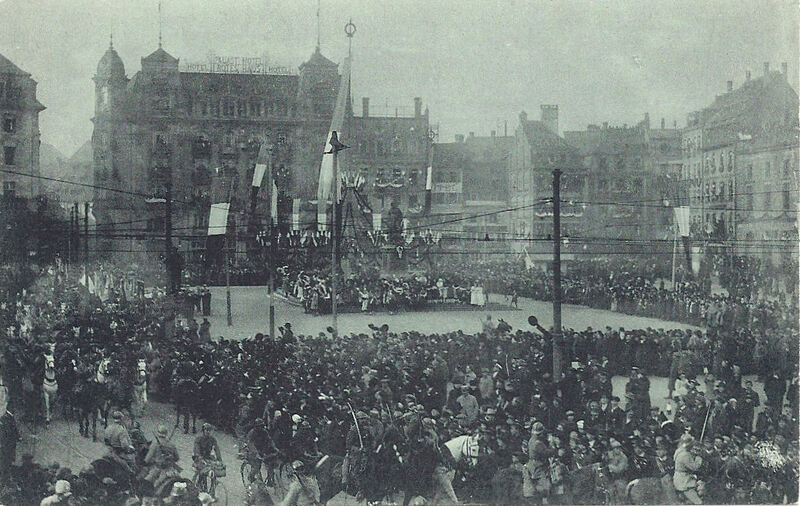 This card shows an open air service to mark the Kaiser’s birthday in January 1915. General Kléber’s snow-covered statue is surrounded by German troops. It is a massive statement of power. There is a certain irony and poignancy in the next two cards, both featuring the same location, place Kléber. 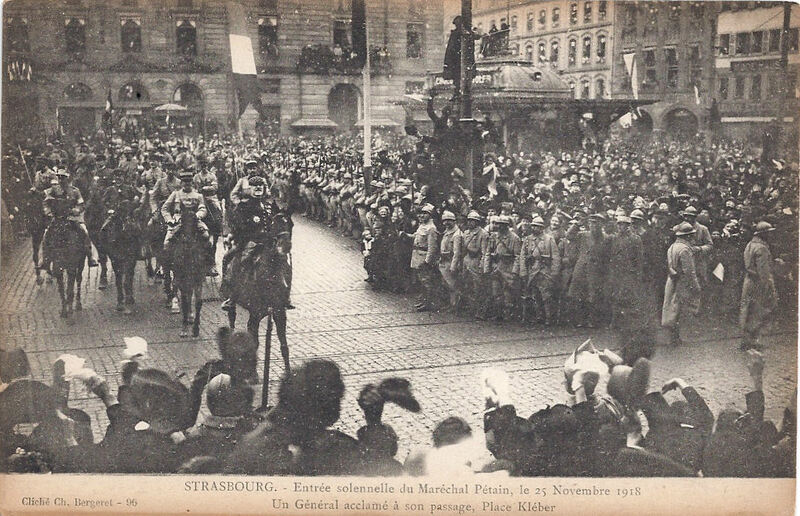 The first shows French troops re-entering Strasbourg after the Great War. General Kléber’s statue is in the centre of the photograph. Here is the entry of Maréchal Pétain on November 25th, 1918. 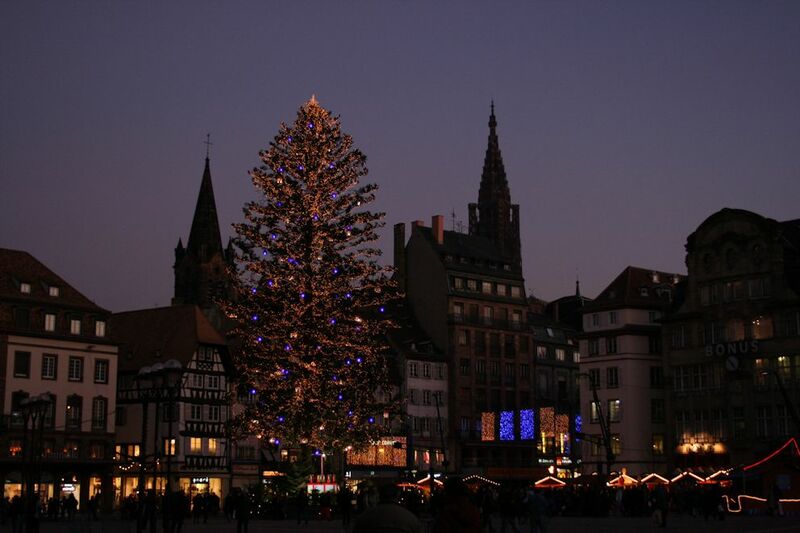 Place Kléber seems to have changed little since that time and many visitors to Strasbourg in the Christmas period head straight to see the le Grand Sapin de Noël. (Unfortunately I didn’t capture Kléber in this photo.) Happy times. Peace restored to the city: place Kléber in the era of trams where the troops once stood. Kléber and the cathedral pin the view to its past while business people, shoppers and travellers pass through to their work, the great department stores and the cafés as they do today. All cards and the photo are my own. (2) Guides Illustrées Michelin des Champs de Bataille (1914-1918) : Strasbourg, pp 5-7 and 8. 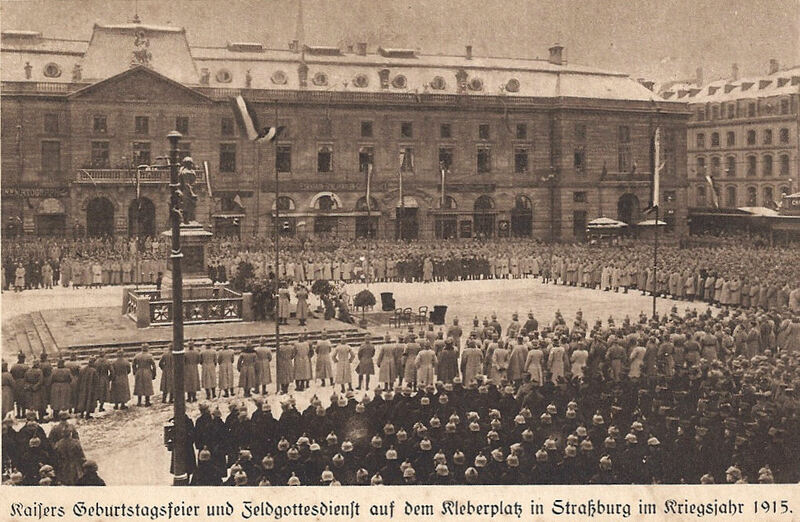 Categories: Administering the frontier before the Great War, Alsace at War - 1914-1918, Royalty, celebrities and personalities, Strasbourg | Tags: Alsace, Elsass Lothringen, Great War, Kaiser Wilhelm II, Place Kléber Strasbourg, Reichsland Elsaß Lothringen, Strasbourg | Permalink.